When someone is injured in an accident because of another person's actions, they may be able to file a personal injury lawsuit against the negligent party and pursue compensation for damages in civil court. While Delaware law gives injury victims the right to pursue a legal remedy, these cases are by no means simple and straightforward. Personal injury lawsuits can be complex and lengthy, particularly if the case goes all the way to court. From filing to the conclusion, there are a number of steps in a civil lawsuit. 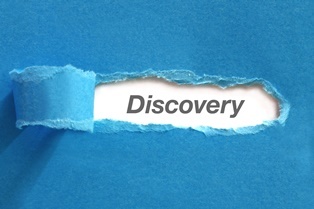 One of the first and most important steps is discovery. During the discovery phase, each side must present evidence or witness statements to strengthen their case, or to comply with requests made by the opposing counsel. Discovery rules give attorneys for both sides wide latitude to request information, but that doesn't mean that absolutely anything and everything is subject to disclosure. Legal limits exist to ensure that discovery powers aren't abused, and to prevent private, irrelevant information from becoming public. For example, a judge may limit the private information required from a third party not involved in the dispute, rule that someone doesn't have to divulge personal information (such as religious beliefs, or sexual preferences or practices) unrelated to the case, or issue a protective order to prevent sensitive information revealed during the case from making its way to the public. Interrogatories. These written questions are submitted to someone involved in the lawsuit—plaintiffs, defendants, and witnesses—and must be answered, in writing and under oath, within 30 days. Form interrogatories are those that are pre-printed with basic questions, while special interrogatories consist of specific questions about the case at hand. Depositions. Conducted under oath by attorneys for both sides, this face-to-face questioning is often recorded for use at trial. In some cases, the deposition may be preserved because the person being questioned will be unavailable to testify in court. Requests for evidence production. If an attorney for one side wants to examine documents or other physical evidence in the other side's custody, requests for the production of evidence allow them to do so. Requests for admission. Used less frequently than the other three discovery tools, requests for admission allow one side to ask the other to admit or deny certain facts about the case under oath, and may carry penalties for lying or refusing to answer. If you were injured in an accident that wasn't your fault, the skilled legal team with the Morris James Personal Injury Group can help you pursue compensation for your injuries, as well as other damages. Contact us today to schedule an appointment for a free initial consultation.